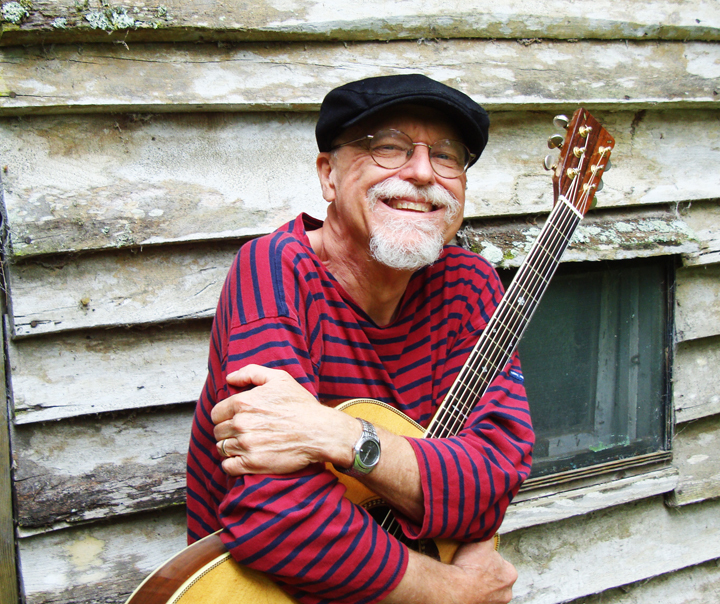 We have gigs coming up in The Villages, Englewood, and Bradenton. Then we head to Durham and Virginia. Then back to Orlando. Here’s the skinny on the fatness. What a time we had in the north land. 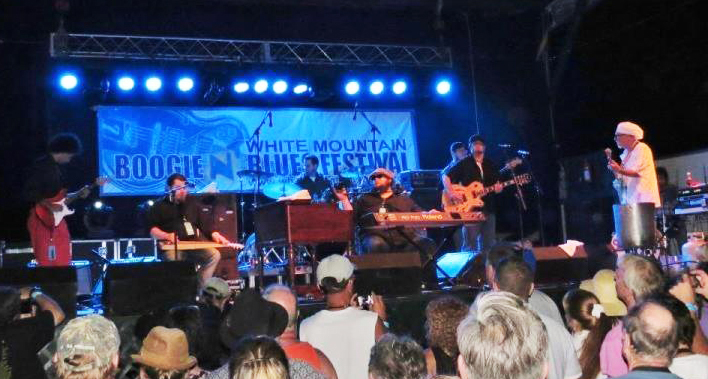 Three Florida bands–Selwyn Birchwood, Sauce Boss, and Southern Hospitality–invaded the White Mountain Blues and Boogie Fest (Blues Foundation’s 2012 choice for Best Fest). 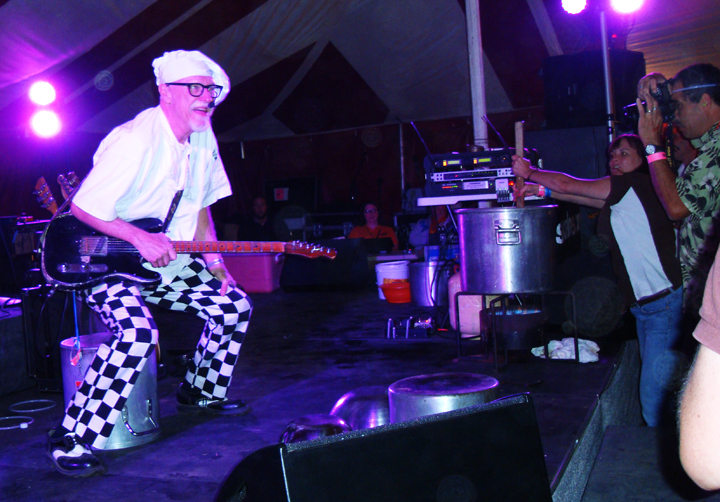 Big jam on stage at the end of the night, followed by gumbo for a large crowd. And the late night clandestin ninja jam at the ski resort where we all stayed was awesome. 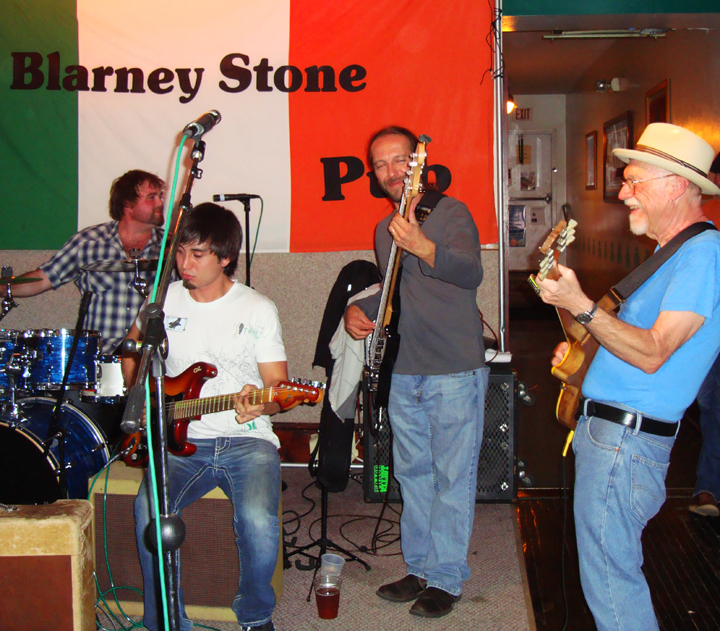 Then we were off to the Chenango Blues Festival, where we stole the show. We had the stage manager in tears. He said that in the twenty years since he’s done this gig, he’s never seen anything like it. What a wonderful, generous public to play for. I could not sit down! Of course there was a monster jam after the fest where everyone was mixing it up pretty good. Here’s Tab Benoit heavy on the back beat. Tab! He can do ANYTHING! And do it well. So then Justin and Johnny flew home, and Ruthie and I took our time getting home. First a recharge at Watkins Glen. Chillin by the finger lakes. The weather was crisp and clear. Gorgeous. Further chill was achieved for a few days at daughter Mary’s country house. 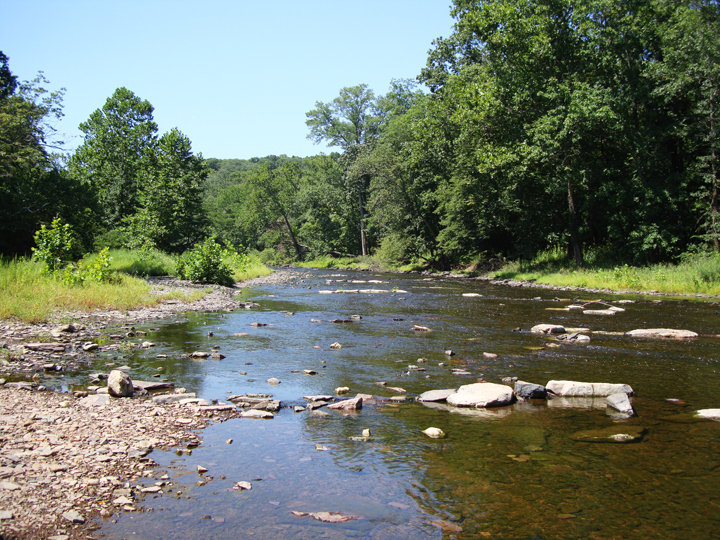 How bout some R & R on Tohican Creek. Nice weekend digs to get away from the bustle of NYC. OK, enough nature study. We then were off to the big city. Generally, the first thing I do when I reach New York City is eat. Not at a fancy, uptown restaurant, but at Russ and Daughters. Actually you can’t eat there, it’s take out only. however I have had many, many, incredible meals sitting on the bench right outside the place. 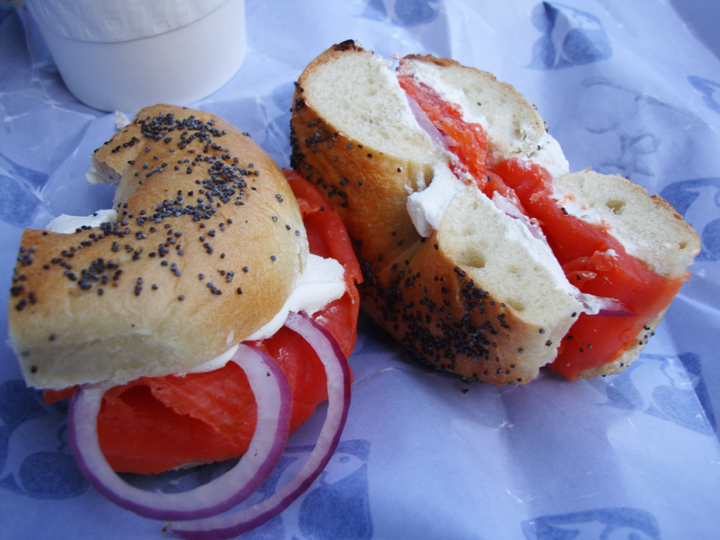 Wild Western King Salmon Nova With Cream Cheese and Onion on a Poppy Seed Bagel. 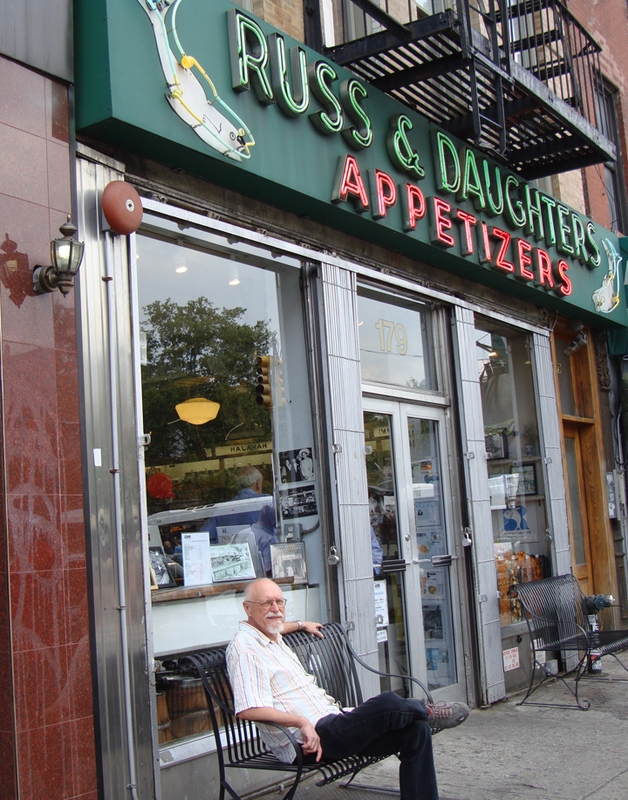 Anthony Bourdain said, ” Russ and Daughter’s occupies that rare and tiny place on the mountaintop reserved for not just the oldest, and the last, but also the best”. Anthony Bourdain knows New York pretty well. After a meal like that, it’s time for a walk. I would “highly” recommend the High Line. An old abandoned elevated rail line which has been turned into a city park. Stretching from the Meatpacking District to West 34th Street, between 10th & 11th Avenues, this space has been tricked out with beautiful landscaping, walkways, grassy spots, and benches. Makes for a relaxing way to soak up the city. Civilization at its best. 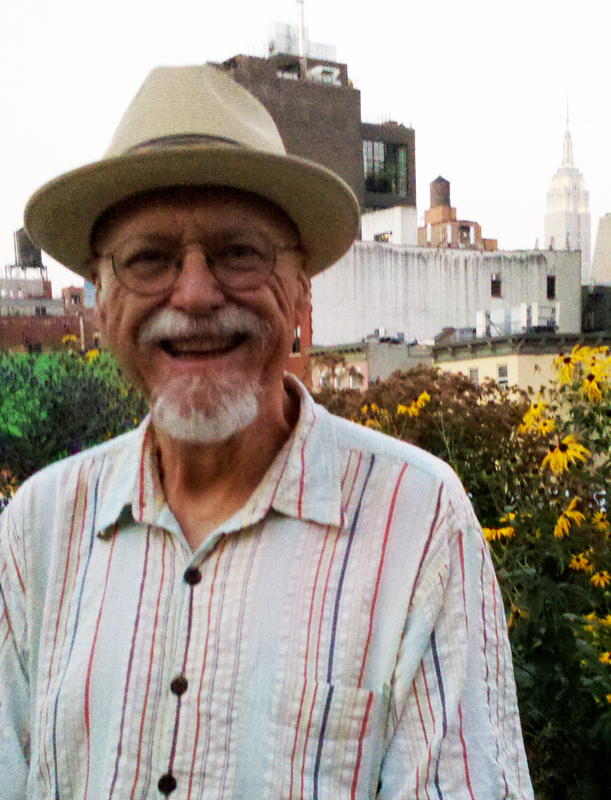 Round about sunset the High Line buzzes with, gawking walkers, busking jazz bands, impromptu Latin music concerts, yoga classes, all kinds of get togethers, and just some neighbors meeting neighbors, kind of action. 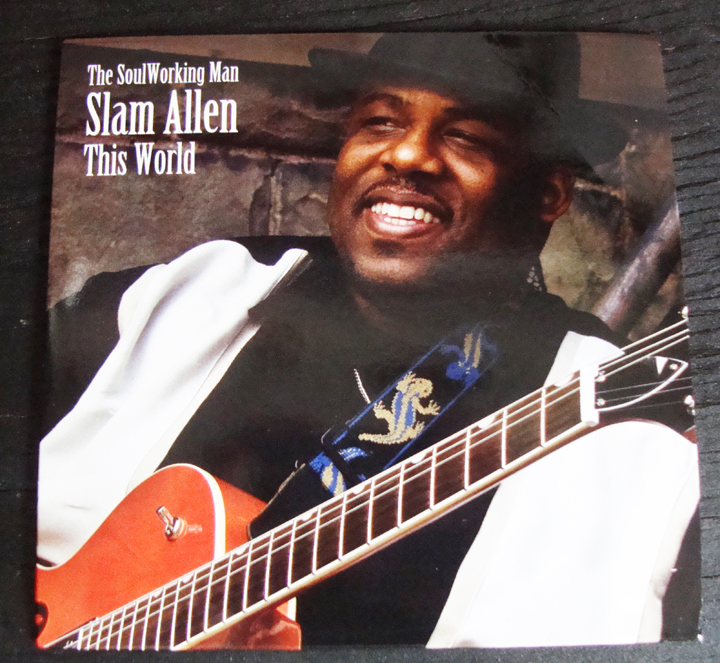 If you are in town on a Wednesday night, drop into Greenwich Village and check out Slam Allen. When he’s not on tour with James Cotton, he bends a string at Terra Blues. Great musician, great guy, great spirit, jams like nobody’s business. I walked in there and he handed me his guitar. I put a slide on it, and hit a few licks, riled the crowd up a little, and when I gave it back to him, I realized, once more, why they call him SLAM! HOOOOEEE! Slam can jam! He IS New York City Blues. 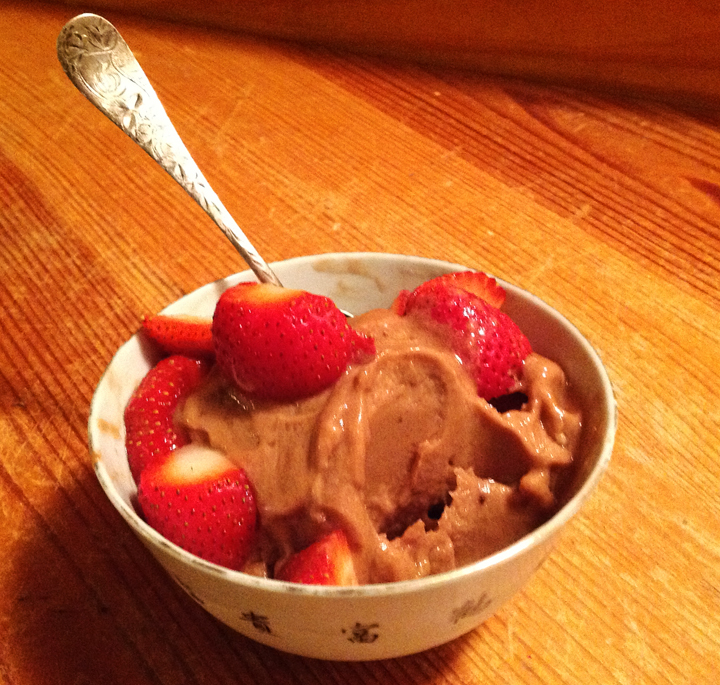 Banana Chocolate Ice Cream (NOT)! Throw it all into a processor mix it until creamy. Without an ounce of guilt. and the best tasting dessert ever. You are currently browsing the Sauce Boss Blog blog archives for August, 2012.